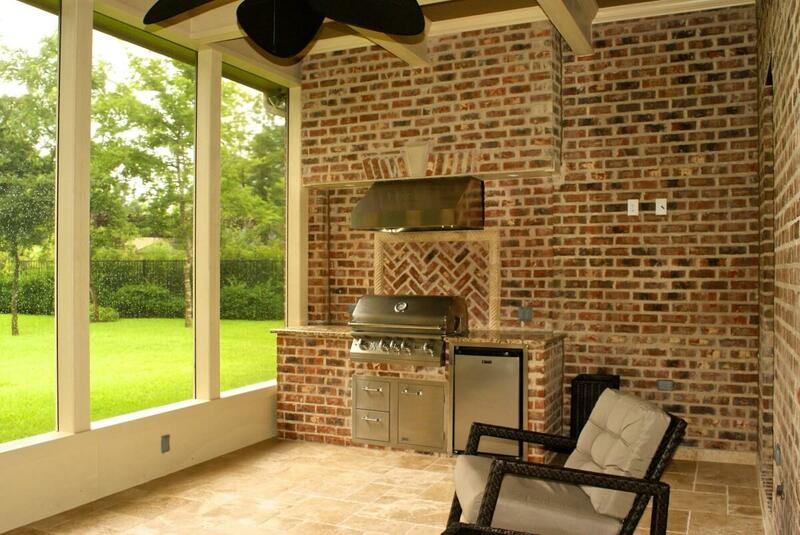 A breezy porch with a vented outdoor kitchen and grill provides great views of the expansive backyard. The flat ceiling is stunning with the contrasting colors on the beams and the tongue & groove ceiling finish. Travertine flooring was laid in a Versaille pattern, while the interior of the kneewall is a Hardieplank finish. A sturdy storm door provides a secure space and lets full light in. Hand-stretched solar screen keeps the screened room cool, comfortable, and bug-free.